Kitchen and pantry renovation that provides a contemporary update whilst being sympathetic to the original mid-century style of the home. Tell usHave you splashed out on a wine fridge? Tell us where you put it in the Comments below. And while you’re at it, like this story, save the images and join the conversation.MoreKeen to incorporate a wine fridge? 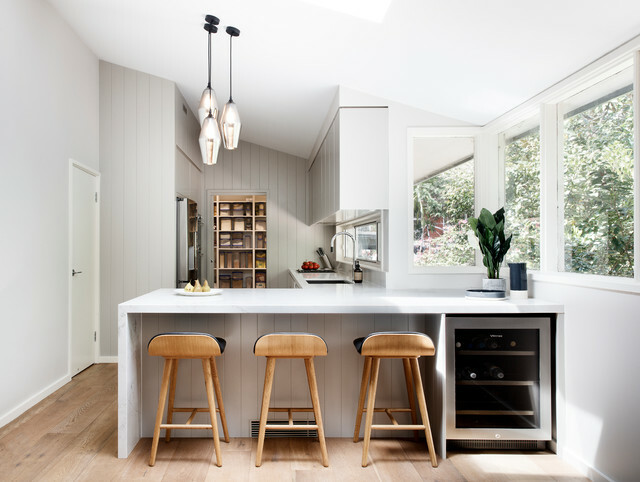 Find a kitchen designer or renovator near you for some expert advice. Barb and Dave Wagner added this to Lisa’s New House! Tie a wall to the island back ... turquoise?